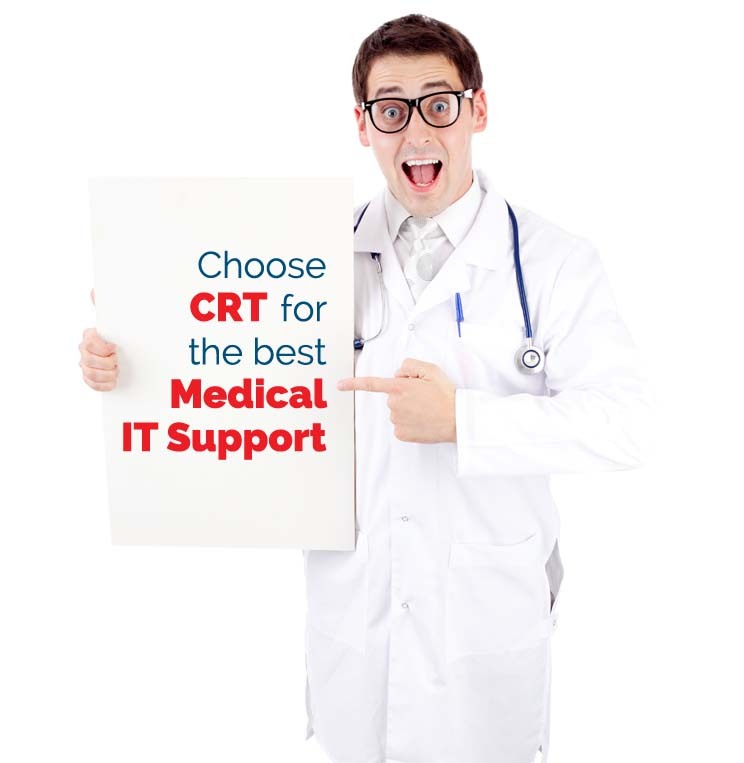 CRT Network Solutions give you peace of mind in running your Medical Practice. With in-house IT Support tools we closely monitor your network server and critical infrastructure to ensure it is functioning efficiently. We closely monitor your daily medical backups, perform test restores and provide regular maintenance of your IT systems. All our support engineers will have knowledge of your site, and will be able to respond to any medical IT issues. We provide both remote IT support and onsite IT support and take care of the medical centre IT updates. We work with Medical Director, Pracsoft, Best Practice, Genie Medical, Zedmed, Stat Health, Shexie, RX Medical, Bluechip, and various of medical software vendors. Our technicians have extensive knowledge of any of the above softwares. If you have an IT emergency at your medical practice you can call our emergency number at any time on 0433 835 115.